Getting a look at the world famous Sydney Harbor Bridge does not require jumping on the next flight. 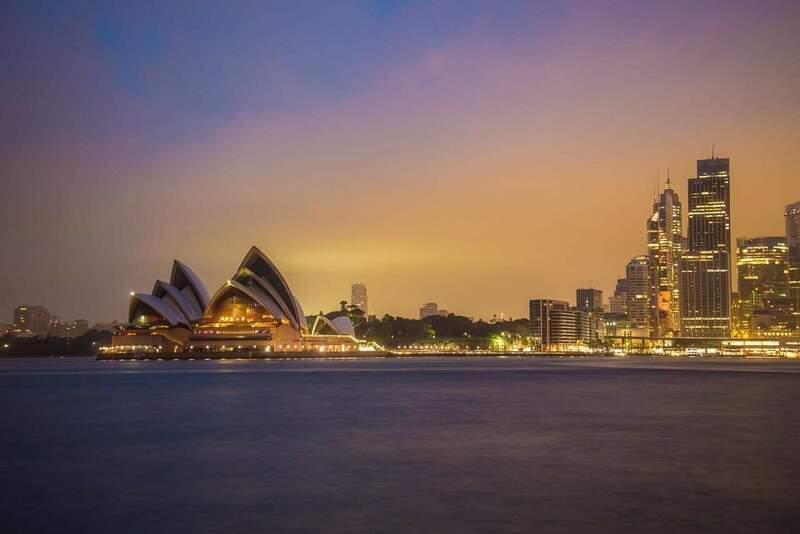 This live cam of Sydney allows you the opportunity to see the Sydney Harbor Bridge from the comfort of your home and if you are lucky enough to be planning a trip to Sydney than you can use the Sydney weather cam to help you pack for your stay! Sydney is a beautiful city in Australia, the bridge links the Sydney Central District and the North Shore. It opened in 1932 and took 1400 men 8 years to build. 16 people lost their lives during the construction of the bridge. It has 6 million hand driven rivets, took over 52,000 tonnes of steel to build and 272,000 litres of paint were used for the first three coats. It sits 134 meters above sea level and is 1149 meters long. Locals have nicknamed the bridge “The Coat Hanger” because of its unique arch shape and flat bottom making it look like a wire clothes hanger. Hundreds of thousands of vehicles cross the bridge daily. About 200 trains cross the bridge each day as well. There is a foot traffic only lane, although most travel is done by vehicle or train. Population: Sydney has a population of about 5 million people.